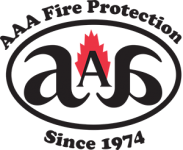 Every business in San Francisco can benefit from the expertise of AAA Fire Protection Services. We bring 40 years of experience dealing with the complex California Code of Regulations. Put that expertise to work for your company. We deliver high-quality services with affordable pricing and always include integrity and honesty. Our fire extinguisher services are comprehensive and they meet or exceed the California statutes for fire control and fire suppression. We are a full-service company and offer a complete fire extinguisher sales department that matches the needs of your business and industry to the fire extinguishers that are required to the California Code of Regulations. This is the level of expertise that we are talking about. We take companies who have citations or who drastically need to make changes and we turn them into companies that are compliant with California code. In addition, we help you stay there. Our ongoing services mean that your business is always in compliance. To learn how your business can benefit from our expertise, just give us a call at (800) 543-5556. Our professionals are happy to answer your questions, schedule service, or provide you with a quote for services.